A quality assurance system to track manufacturing issues and defects. The system was originally built 9+ years prior to the project. Client was wanting a modern look and to have a mobile-friendly layout. A quality assurance system to track manufacturing issues and defects. The system was originally built 9+ years prior to the project. Client was wanting a modern look and to have a mobile-friendly layout. A rigid workflow for the system needed to be maintained and followed to mirror the standard auditing process; yet blended with the latest information architecture design styles, while working on a tight project budget. 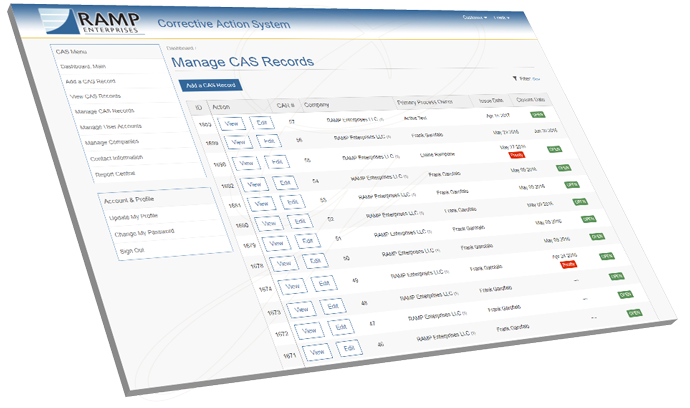 Updated way information was displayed for each corrective action record to increase readability and clarity. 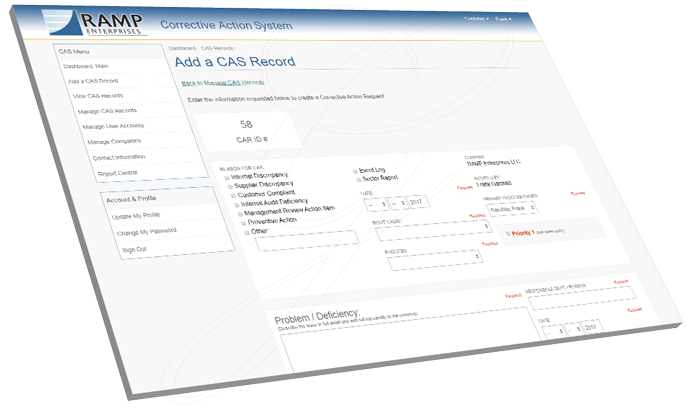 Updated form field validation to increase data accuracy at point of entry. Updated layout to be mobile-friendly. To be cost-effective, able to reuse some CSS from ResLife Portal project.